As much as I attempt to let my children grow up without being too sheltered, there are times that I don't have any qualms about changing the television channel or not letting them see a movie that is too mature. As for music, don't even get me started on the lyrics. While I would like to believe that most of it goes over their young heads, that doesn't mean that I want them repeatedly listening to songs with words and topics that are meant for someone decades older. Fortunately, the happy medium is always available and I'm always thrilled to know that I can turn to one musical option that has the songs and beat that the kids love with the wording that lets parents rest easy, KIDZ BOP! By taking the popular songs of the year, removing the suggestive lyrics and having them performed by kids (the current members are Ashlynn, Grant, Matt, and Bredia), it's no wonder that parents as well as children can appreciate these CDs — which is why millions and millions of them have been sold to date! As soon as my family heard about the release of the 29th KIDZ BOP album (available today! ), there was no doubt that we were ready to bring home a new selection of songs. It's time to rock out with KIDZ BOP 29! As usual, the group has yet again taken this season's hottest songs and made them kid-friendly and fun. My entire family has been moving and grooving to this disc ever since it's arrival, as my girls have been playing it multiple times per day without ever growing tired of it! Big Sister E has declared this the best KIDZ BOP EVER! (which I'm sure she has said about every single album), while Little Sister B puts in a special request to hear GDFR over and over so that she can swing her arms crazily in the air to the catchy beat! But, there's more! Along with recording KIDZ BOP 29, this talented group of kids has been hitting the stage for their "Make Some Noise" Tour going on across the country! 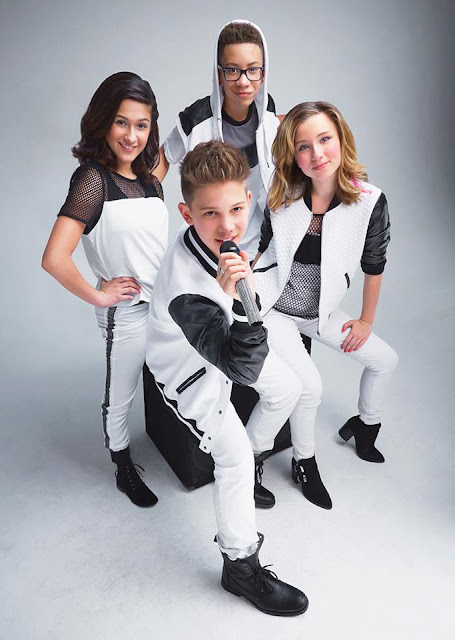 From Clarksburg, WV to Appleton, WI, the KIDZ BOP singers still have more than 10 stops left in their tour for fans across the country to have a chance to see them live. If these CDs are as big of a hit in your house as they are in ours, head over to KidzBop.com/tour to see if/when they'll be near you! 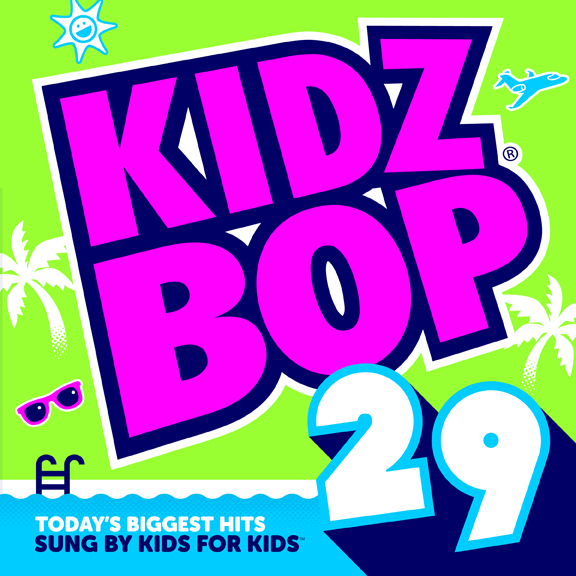 Whether you're having a rockin' party or just want something that the whole family can enjoy in the car, KIDZ BOP 29 and the entire line of KIDZ BOP CDs are sure to be a hit. More details and purchase information can be found in the KIDZ BOP Shop (this CD sells as a BOGO for $14.98) as well as on Amazon (where it retails for $9.99). Other than the copy of KIDZ BOP 29 that I was provided in order to facilitate my review, I was not compensated or enticed to do this post in any way. This review is solely my honest opinion of this product. We have gotten a lot of Kidz bop music, and really like these CD's because you get a lot of great music from artists and it is way cheaper to buy the songs i like on these CD's. This one looks like it has fun songs to listen to. I love these Kidz Bop cd's, my kids love bringing these a long on family road trips. I love KidzBop CD's for my grandsons and my daughter, they can enjoy the music with a kid/family friendly version of popular songs today. I have a 2 and 3 year old that LOVE kid bopz.. It's great that they take the popular songs and clean up the lyrics. I always wanted these when I was younger and I am glad to see they are still around! My kids would love this! I'll tell my friend about this. I think she'd like to buy it for her grandkids.